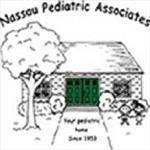 Welcome to Nassau Pediatric Associates! We are committed to provide Best Pediatricians optimal care in a timely manner, the physicians of Nassau Pediatric Associates are 24*7 available. We provide pediatricians care near Franklin Square, Mineola, Elmont, Valley Stream, Garden City, Rockville Centre, Oceanside and all over in New York, USA. We are division of ALLIED PHYSICIANS OF NEW YORK, a medical group with several offices in the NY area.